Dentures simply restore and replace your missing teeth after you have encountered damage to your teeth. This can be due to decay or an injury suffered. They give a first-hand natural looking solution which clearly enhances your appearance as well as improving your health. Need a dentures? Contact us today to have yourself sorted out today. Missing teeth can easily cause your face to droop and this can make your face look older than you actually do. The support received from dentures, your appearance will become youthful while you will also be able to easily enjoy eating and speaking comfortably. Not only do they make you look great, they increase you esteem as well as the general mood. They are removable false teeth. They are used in place of missing teeth. They are artificial and usually made out of metal or acrylic. They can be taken out and placed back in the mouth. Moreover, they are available in both full and partial dentures. This however depends on how many teeth you want to be restored. Nowadays, you can easily find good looking and more comfortable dentures. Am I eligible for Dentures? Visit our dentist in Tigard and you will find out if you are eligible for dentures. In addition, ideal candidates for dentures are the ones who have experienced massive teeth loss or a significant toothy loss. There are many factors that may necessitate the wearing of dentures. It should also be noted that there is no age limit for having an amazing smile. Even young people can use dentures. It does not matter whether you have lost one, two or all of your natural teeth, your dentist in Tigard can come up with comfortable dentures for you. They can either be complete or partial. Complete or full dentures take the place of all the natural teeth in either the upper or lower jaws. Complete dentures suit patients that have lost many or all of the natural teeth. These types of dentures fill in the spaces that are left by missing teeth. They are fixed to your teeth by natural metal clasps also known as precision attachments. These suits patients who have lost just a single of a few teeth. Although they are artificial, dentures are supposed to make your teeth look as natural as possible. Dentures fitted by a Tigard dentist will almost look unnoticeable. They simply and effectively improve the appearance of your smile and reduce the chances of your face sagging due to missing teeth. If you take care of your dentures, they can last up to a maximum of 4-8 years. During this time they can wear out and change the shape of your mouth. 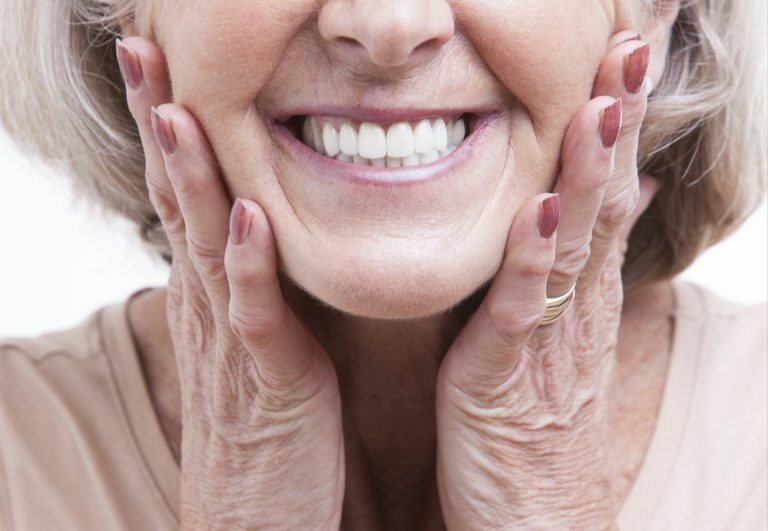 This is why your dentures need to be realigned on occasional basis. This will keep them looking natural. Contact our dentist in Tigard today to enjoy quality and affordable dental care today.